Top of the range, the Evolution 200 features three-stage grind technology and our quietest technology. It is our most powerful and quietest model, Don't worry about what you can and cannot grind... the evolution 200 grinds all food. Full stop. • Evolution quiet technology – 60% quieter than standard Model 45. • Evolution 3-stage grind technology. • 6 year parts and labour guarantee. • Stainless steel grind elements and grind chamber. 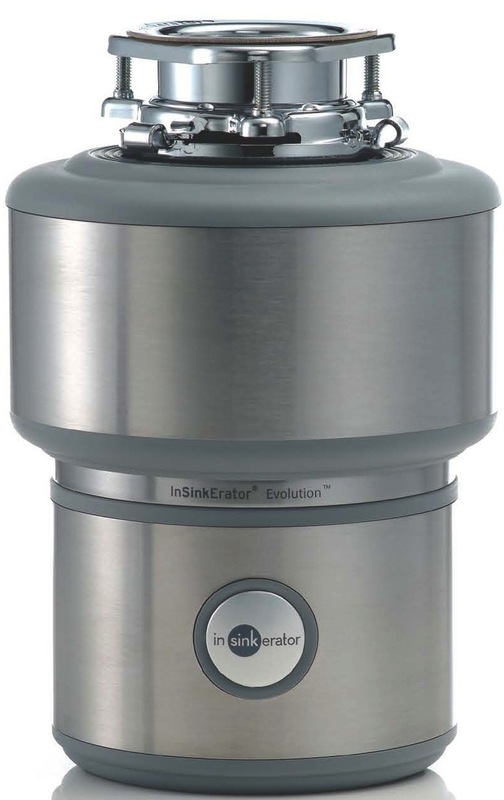 Food waste disposer(s) shall be InSinkErator® Model Evolution 200 with 3-stage grind and quiet technologies, 1 hp (110-120V) or .75 hp (220-240V) motor, auto-reverse grind system, stainless steel grind chamber, grinding elements and built-in air switch with chrome and brushed steel options. Warranty: 6 year parts and service. Every insinkerator model is compact enough to fit neatly under the sink without taking up valuable storage space. Competitors can not match our motor technology, our quietness of operation ideal for open plan living, or our finer grinding capability.